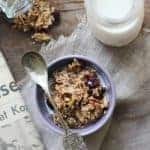 Whenever I talk to someone who has recently switched to a gluten-free diet, the biggest challenge seems to be what to eat for breakfast. 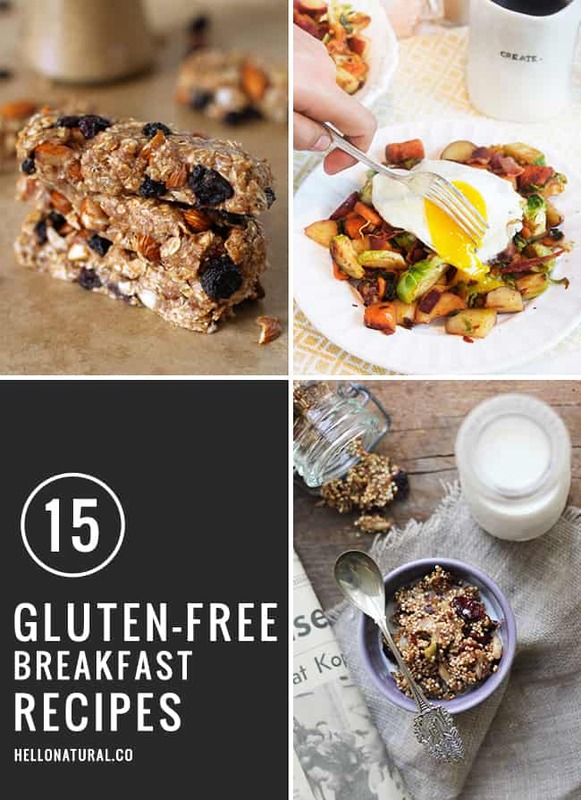 It’s not that there aren’t good gluten-free breakfast recipes out there – there are many! 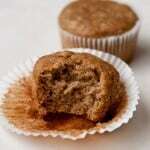 It’s more that they need some help coming up with a bunch of ideas so it doesn’t get boring. 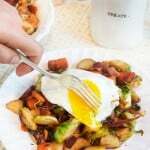 It’s also hard to think of missing out on crispy waffles or fluffy pancakes and other goodies. 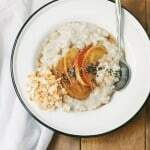 Just in time for Christmas morning, here are 15 ideas to help you keep your breakfast gluten-free. 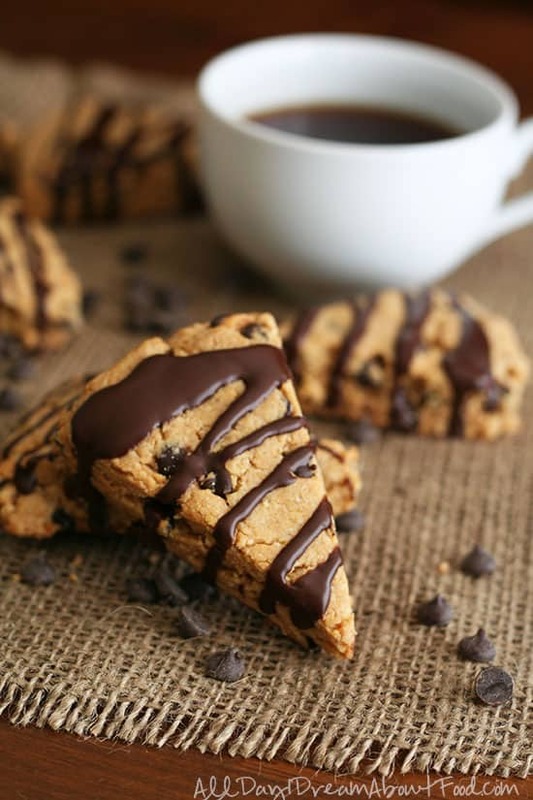 These low-carb, sugar-free peanut butter chocolate scones from All Day I Dream About Food are a true breakfast masterpiece. 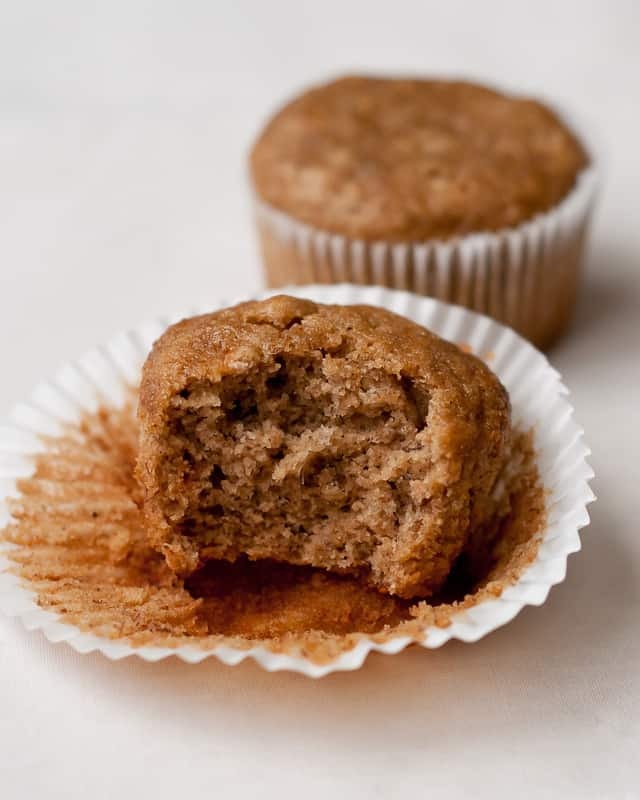 This recipe for Gluten-free, Dairy-Free Banana Muffins from Cafe Johnsonia is easy to bake and packed with healthy ingredients. 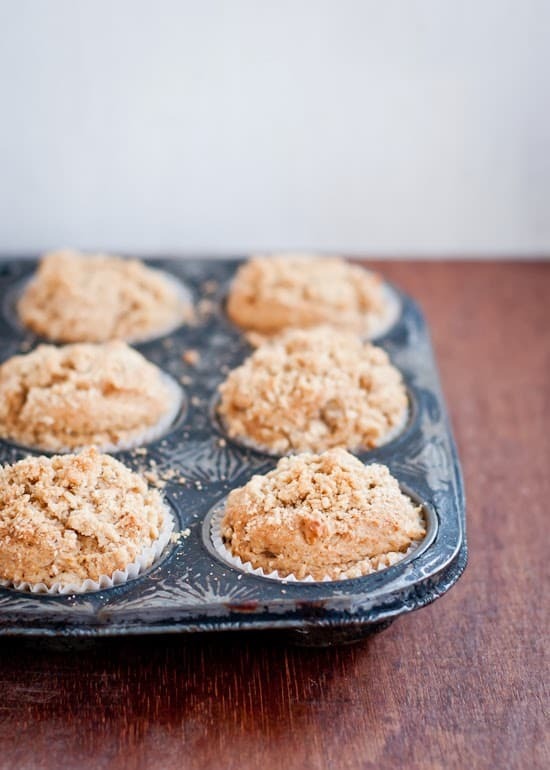 These vegan, gluten free Pear Nutmeg Streusel Muffins (via Cafe Johnsonia) make a hearty fall breakfast for the whole family. 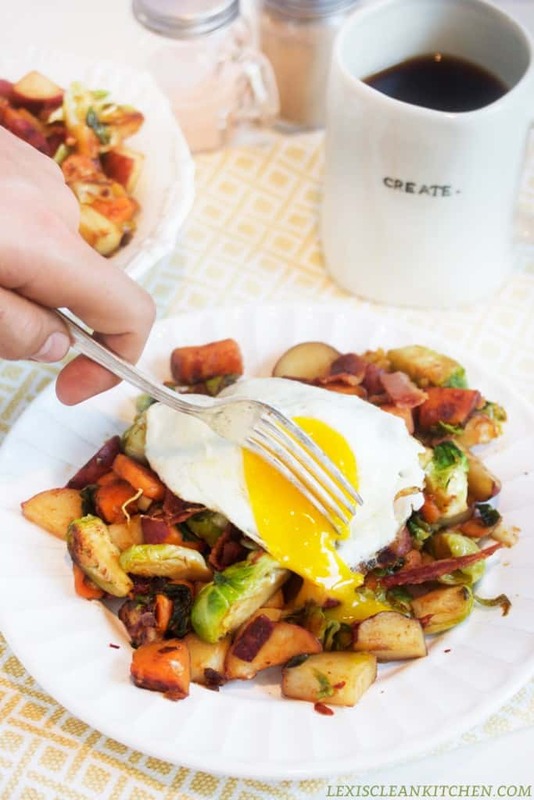 The Brussels Sprout Hash from Lexi's Clean Kitchen can be served as a side for dinner, using the leftovers for breakfast the next day (with an egg). 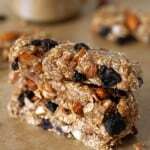 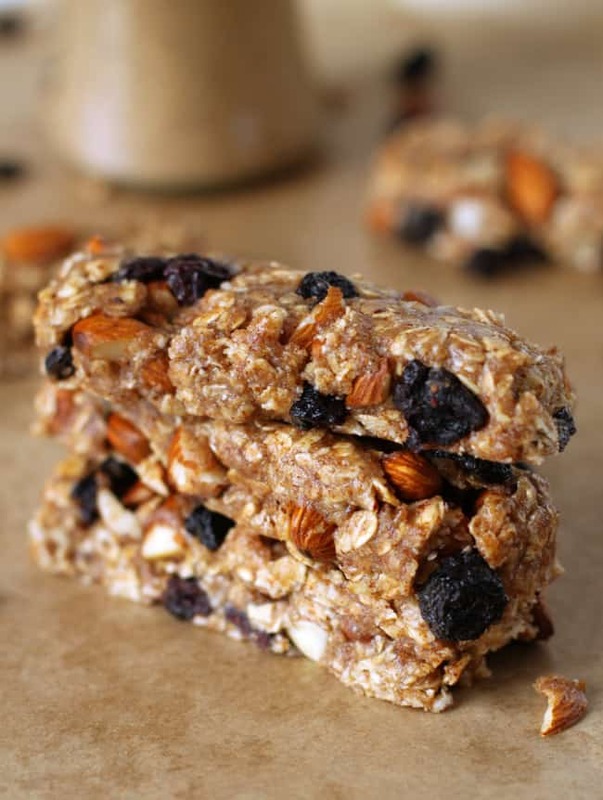 The gluten-free, no bake almond blueberry granola bars from Hello Natural are easily prepared ahead with homemade almond butter. 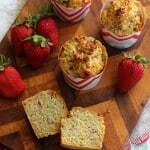 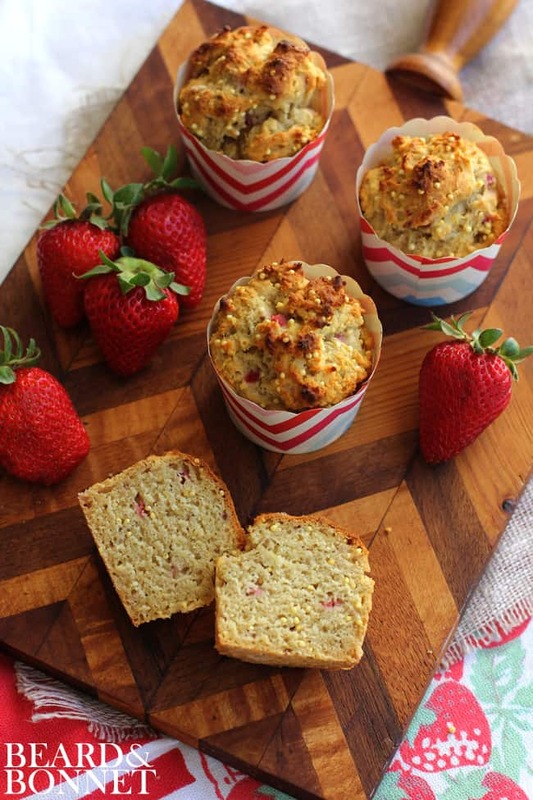 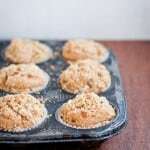 With no gluten to fear, these strawberry millet muffins from Beard and Bonnet are a terrific blend of sweet flavors. 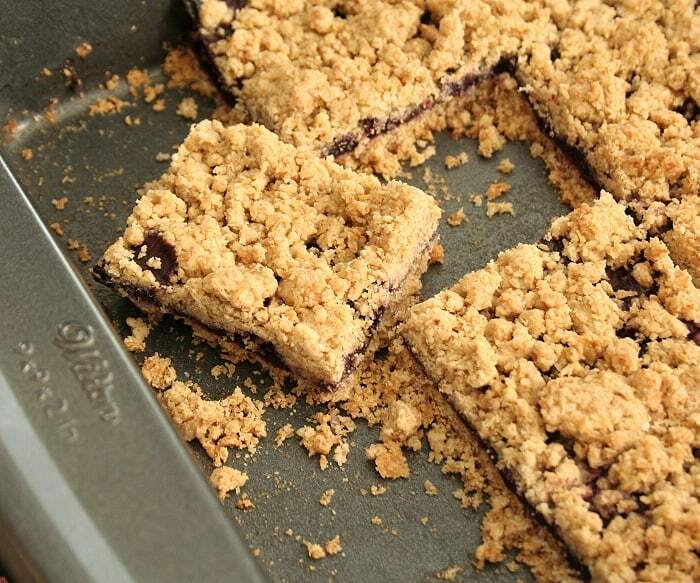 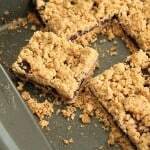 A delicious way to pass to the gluten-free side, the blueberry breakfast bars by All Day I Dream About Food are... a dream come true. 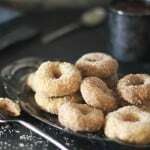 A day that starts with donuts isn't wasted! 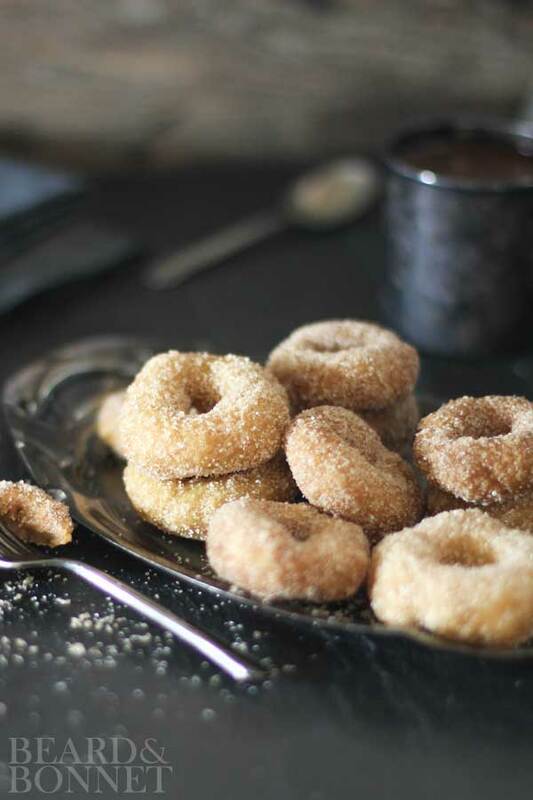 Get the gluten-free version of cinnamon sugar donuts from Beard and Bonnet. 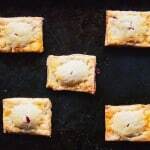 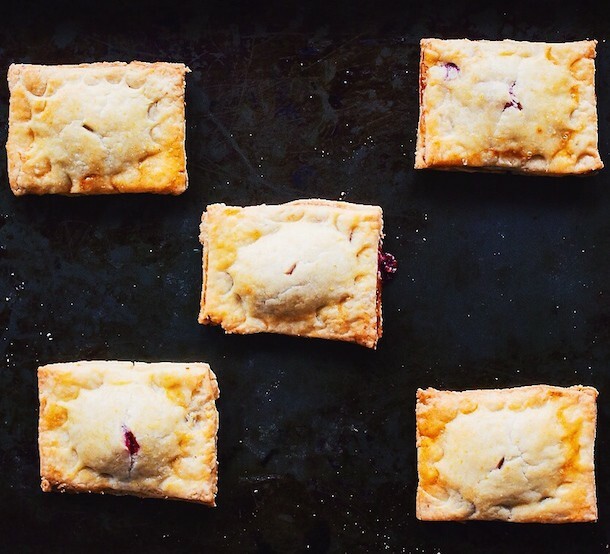 The rhubarb raspberry hand pies from Heartbeet Kitchen are a great dessert, but they also work as breakfast. 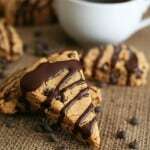 Who doesn't want to start the day on the sweet foot? 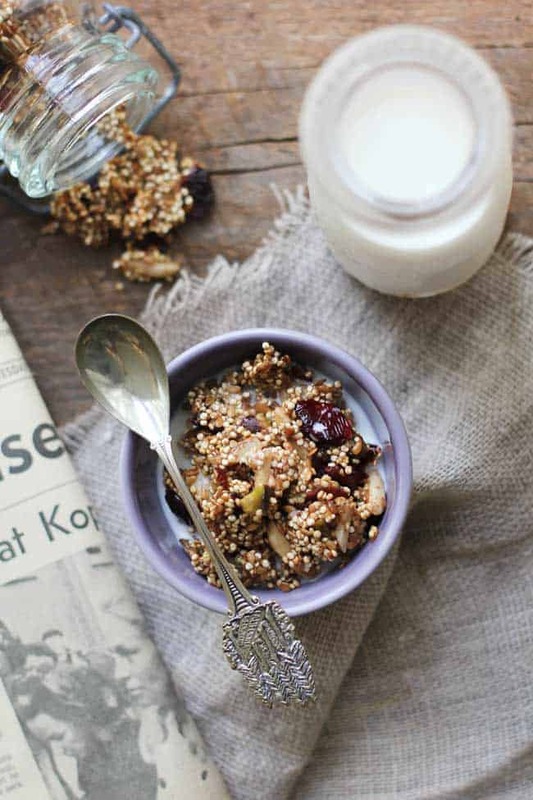 A protein-filled quinoa granola with cranberry and pistachio (via Hello Natural) that beats bloating with its probiotic effect. 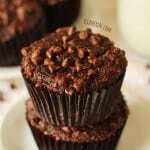 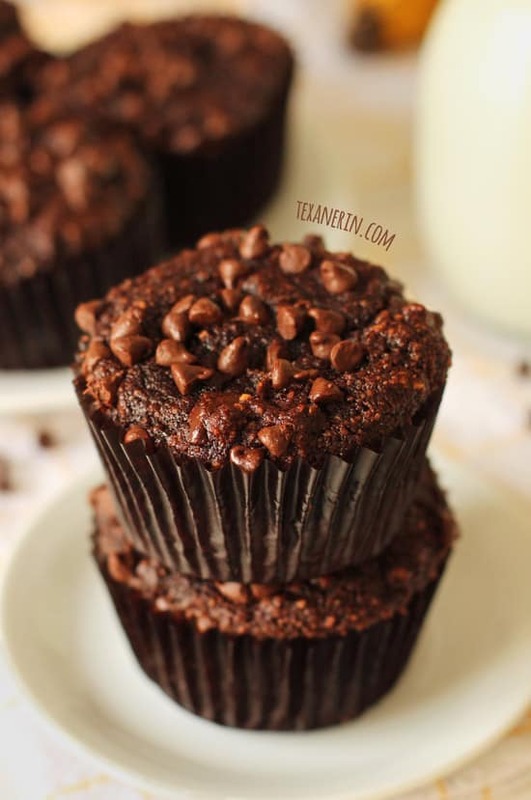 Gluten-free and dairy-free, the chocolate banana muffins from Texanerin make mornings easier to handle. 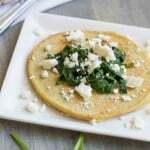 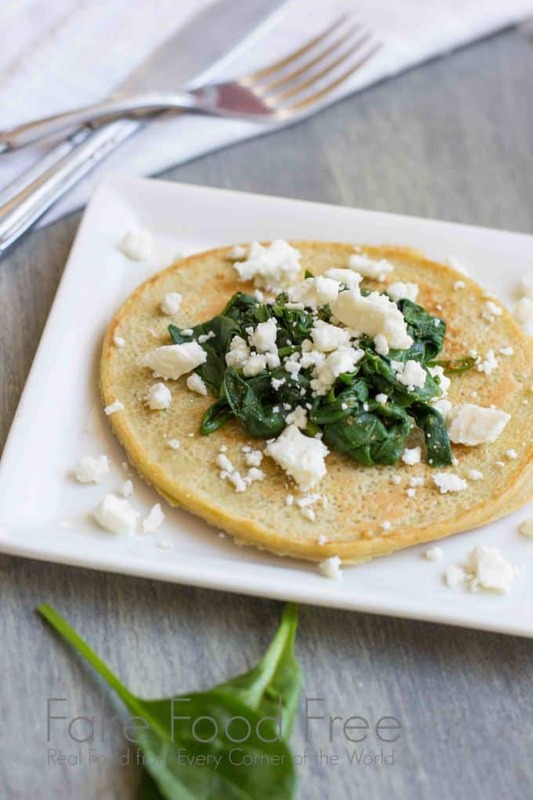 A savory morning treat, the chickpea and quinoa griddle cakes with spinach and feta from Fake Food Free is a cross between a tortilla and a crepe. 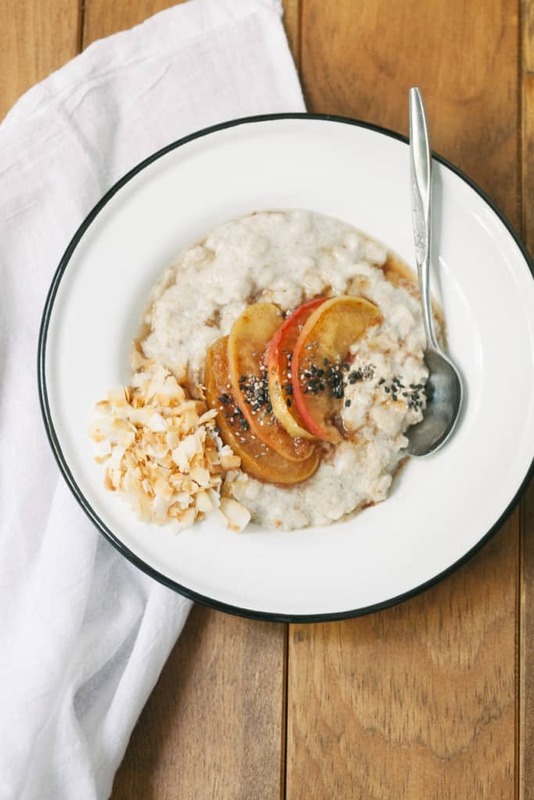 Perfect for colder mornings, the oatmeal recipe from 80 Twenty is a delicious combination of almond milk, amaranth seed, apple, cinnamon and maple syrup.